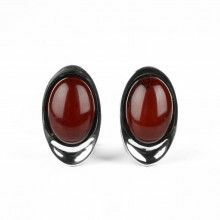 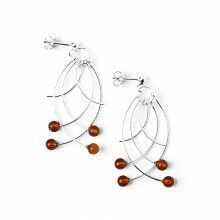 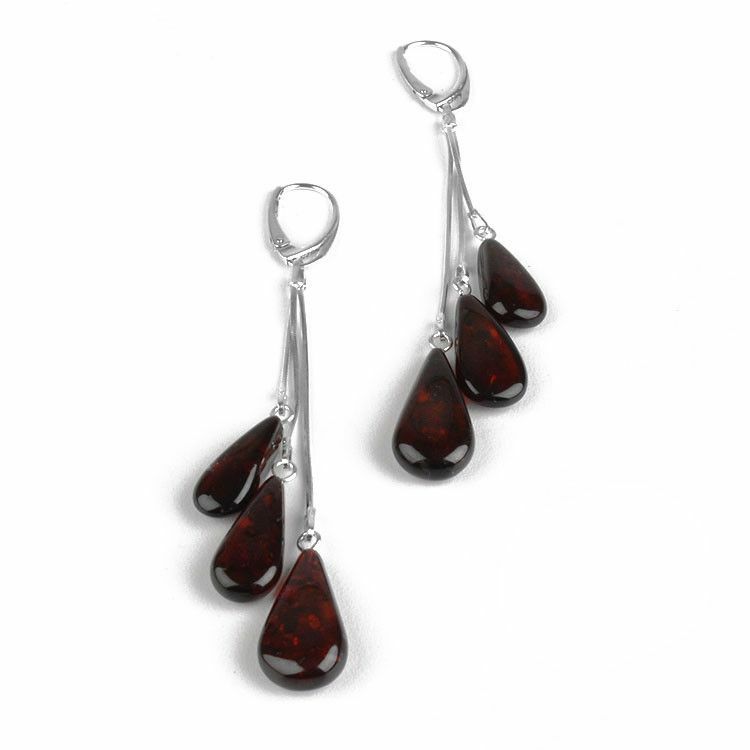 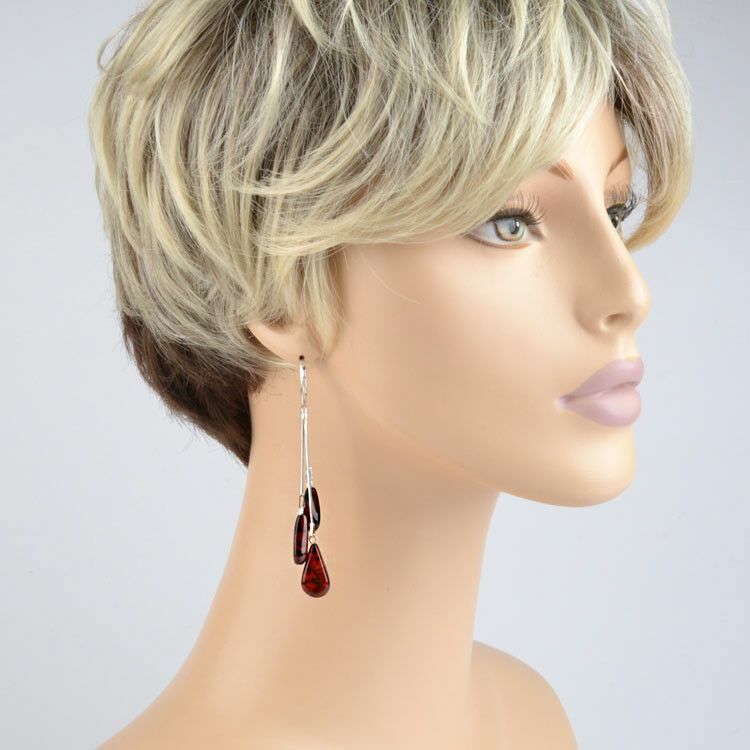 These fantastic earrings feature genuine cherry amber drops. 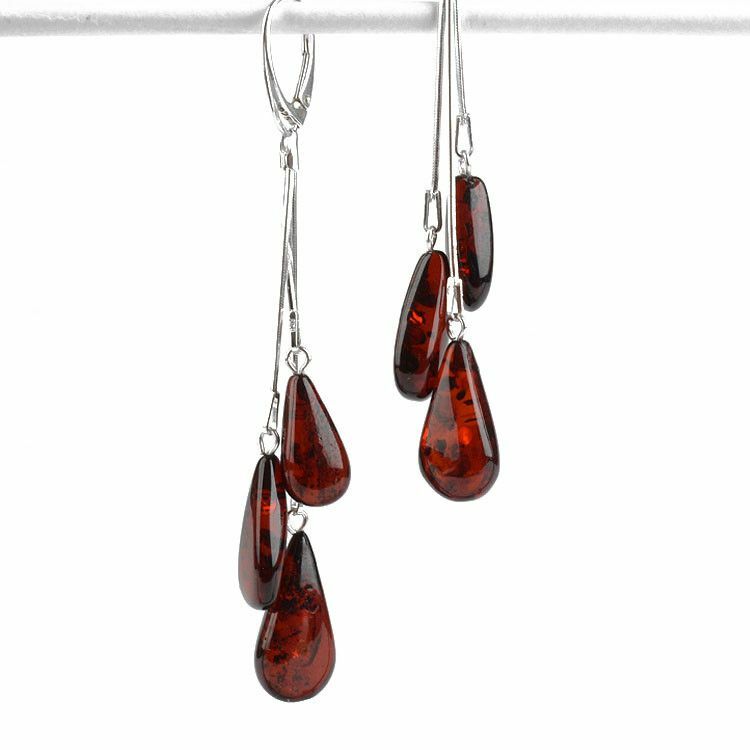 Each drop of amber is unique in its own way; variances in size and inclusions vary ever-so-slightly between each pair of earrings. 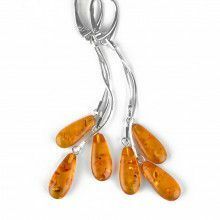 The glowing amber drops hang from liquid silver and dangle freely. 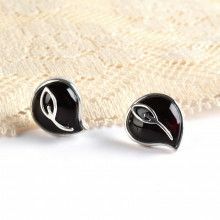 Fashionable and fun, these earrings are a great choice for many. 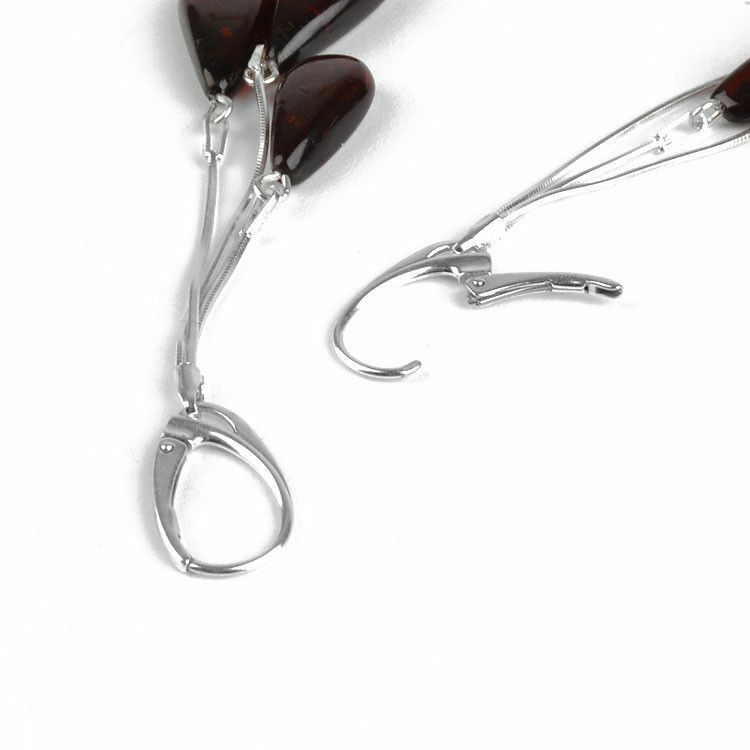 Approximately 3" total length. 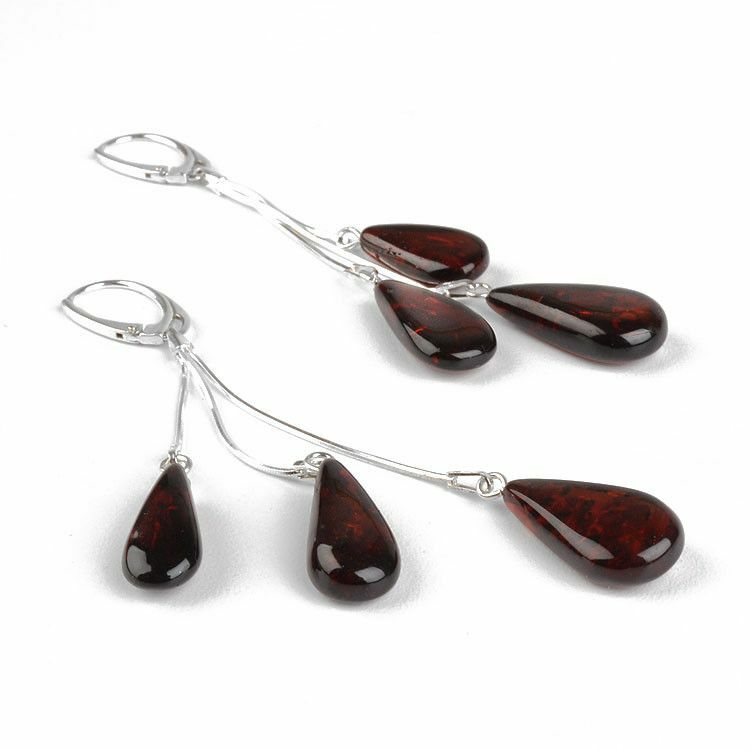 Amber stones are approximately 3/4" in length.